NOTE: Since the publishing of this post, I have created an Annotated List of Holocaust Picture Books which includes the following books, and many more. Get that free resource and be sure to share recommendations I may have missed! A growing number of teachers and parents who have attended my workshops or visited my sites have asked about picture books for teaching the Holocaust. 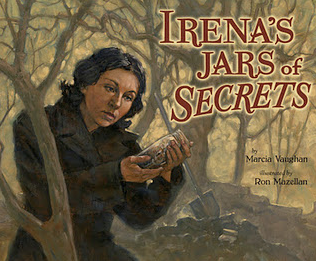 Many teachers, for example, express interest in using picture books to establish historical background for novels such as The Devil's Arithmetic, Number the Stars, The Diary of a Young Girl, and Milkweed. Another great Holocaust-related novel is When Hitler Stole Pink Rabbit (read a review at Daphne Lee's The Places You Will Go blog). I know from several years' experience with my own fourth graders that students at this level have an extremely limited (if not nonexistent) schema concerning World War II and the Holocaust. And furthermore, their parents typically do not want them to learn the gruesome details of the event. 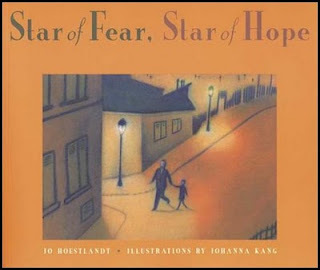 Picture books allow me to prepare students with just enough age-appropriate foundational knowledge to understand the social and historical context of a novel such as Number the Stars. Some teachers have asked, "How can picture books address a serious topic such as the Holocaust, an historic event filled with equal parts tragedy and heroism, horror and courage? Don't picture books denigrate and disrespect the memories of those who perished and those who survived?" I would challenge those teachers to examine the excellent picture books I've collected here. I think you'll agree that each of these texts will provide a concise, emotionally powerful account of this important human story that dignifies and honors all who were involved. In the middle of the night, children wonder about the strange comings and goings they witness in their apartment building. Why the mysterious knocks and whispered exchanges? Why do they never see some of their neighbors again? Told with brevity and illustrated with subdued colors, this books encapsulates the uncertainty and intensity of the times. Upon my first reading, I thought this book was somewhat of a joke, if not outright disrespectful. When the citizens of Warsaw hear that the Germans have learned of a plot to smuggle Jews through the train depot, an unlikely plot is hatched. 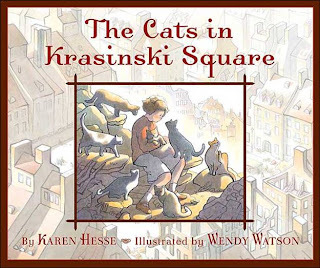 The citizens, most of them children, gather all of the city's stray cats and bundle them in large sacks. These cats are later released at the station, confounding the Nazi dogs that were brought in to sniff out the Jews. I was shocked to read the final page and discover that this event actually occurred! Students are amazed to learn that kids their age could act with such bravery in such a desperate time. Monique awakens one night and imagines that she sees a ghost in her room. She later discovers that the ghost is actually a young Jewish girl, being hidden from the Nazis who occupy the French town. 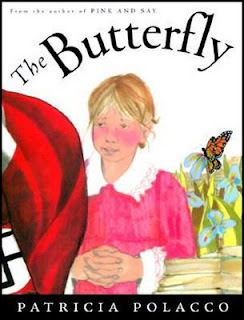 Although the symbol of a butterfly as freedom may seem too familiar to adults, students will enjoy identifying and discussing the metaphorical meaning of the book's title. This book, too, is based upon actual events, this time involving relatives of the author. When Denmark is occupied by the Nazis, King Christian X is allowed to remain in office, and he faithfully rides, unguarded, through the streets of Copenhagen each day, greeting his subjects. 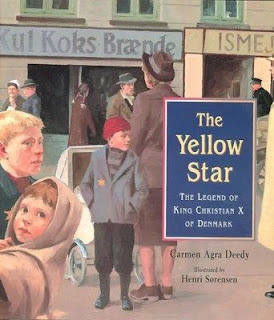 When this popular king learns that the Nazis plan to force Danish Jews to wear stars, the king enlists his tailor to sew a Star of David on his tunic. The following day the king, who is not Jewish, proudly wears the star as he takes his morning ride. His subjects, inspired by this act of bravery and resistance, follow his example. Unfortunately, the author explains at the book's end, this story did not, in fact, happen in this way. But, she asks, what if it had? What if the king had summoned the courage to do this? And what if everyone in the world, when facing unfairness and prejudice, were brave enough to stand up for what is right? This unusual picture book contains drawings and verse from children who passed through a German concentration camp. A simple, yet powerful, book for sharing. What do we know about World War II? Why was it called a world war? Which countries were at war? Who has ever heard of the Holocaust? What do we know about that event? What is meant by prejudice? What seems to be that word's root word? Who has ever heard of the word tolerance? In my own class, two or three of these books are used to set historical background and build schema. As we begin our novel, other picture books are read to see this event from different perspectives. The selection and order of picture books depends upon many variables including the age of students, existing knowledge, the chosen novel, and selected themes. As the unit progresses you may decide that you need to include additional picture books to fill in learning gaps. What are your feelings about this book? What would you have done in this same situation? Who had difficult choices to make? Who was forced to act in a certain way without any other choice? Think about our themes for this unit. How are those themes addressed here? Let me share with you what the author wrote at the end of this book (share any additional historical information which the author or editor have provided). How does that help us better understand what we read? The nation of Israel created a postage stamp and a monument to honor the Danes who helped smuggle Jews from their country during World War II. Similarly, students could design a stamp, monument, or other memorial to honor a person or group of people who exhibited bravery or integrity during this troubling time. Many Jews were able to emigrate from Europe in order to escape the Nazi regime. Who were some of the most famous Jewish refugees? What contributions have they made to American culture? 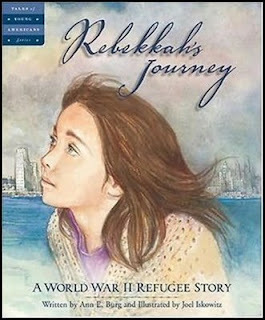 An excellent picture book for understanding the refuge experience is Ann E. Burg's Rebekkah's Journey, a meticulously researched historical fiction picture book which describes President Franklin D. Roosevelt's plan to shelter 1000 Jews in upstate New York. The facts are given a human perspective through the eyes of seven-year-old Rebekkah. In 1998, the principal of Whitwell Middle School in Whitwell, Tennessee wanted to open her students eyes to the world beyond their small, rural community. Students and teachers began collecting six million paper clips to symbolize the six million Jews killed in the Holocaust. 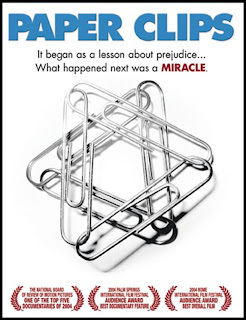 The project took on a life of its own, which is chronicled in an excellent documentary titled Paper Clips. You can find an informative discussion of that film at the American Historical Association site. This movie is appropriate for grades four and up. After viewing the film, students can discuss which understandings of the Holocaust were confirmed, and what new information was gained. Older students may even wish to research media reactions to this project; not all were supportive. Students can research Holocaust memorials throughout the world. How are the victims and heroes of this tragic event remembered? Do you have another resource you use for teaching the Holocaust? Does your class read a Holocaust related novel, and if so, what are the themes upon which you focus? Would love to hear from you; please email me your thoughts! Erika's Story is excellent, too. Thanks for sharing that title, Megan! I haven't see that one, so I'll definitely check it out.